Inspired by the pants worn by ancient Eastern Vikings, the Kids Wicky Trousers are perfect for young adventurers seeking a stylish essential for their wardrobes. These cotton pants have loose-fit thighs but are fitted after the knee. 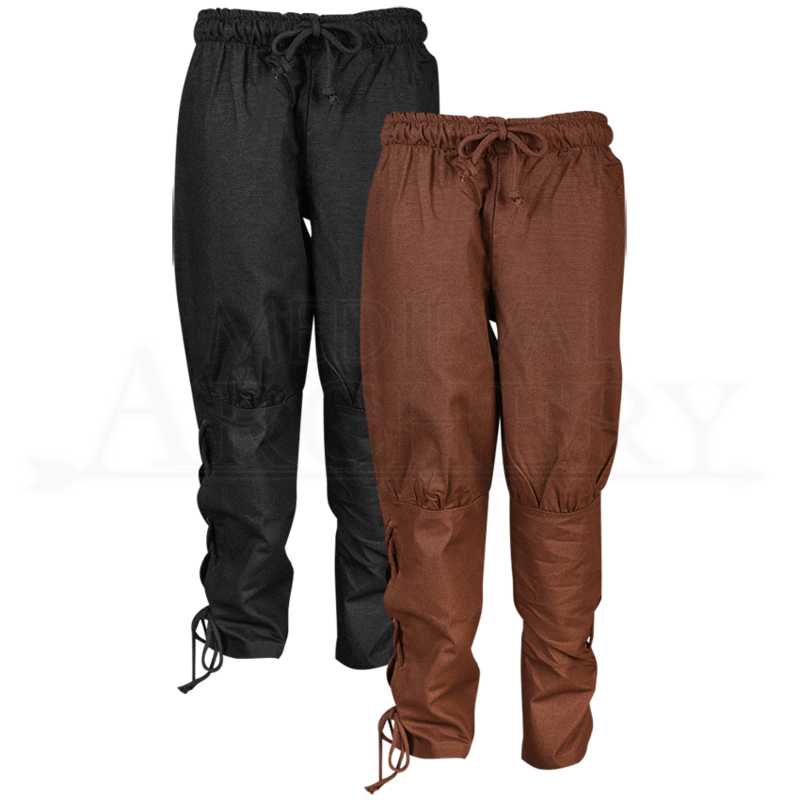 The waist is comfortable elastic with an adjustable drawstring tie, and the straight fit at the shins can be adjusted for comfort with lacing down the sides. 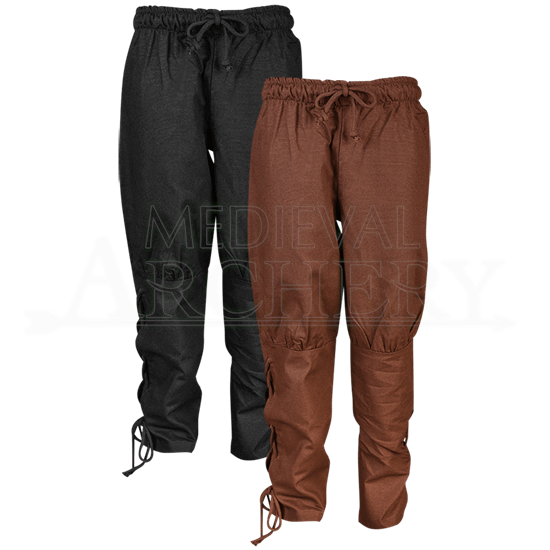 Whether your young fighter is a Norseman or a budding knight, these medieval reenactment pants will lend stylish flair to all their escapades.